How to give yourself Validation so you don’t need it from Others. 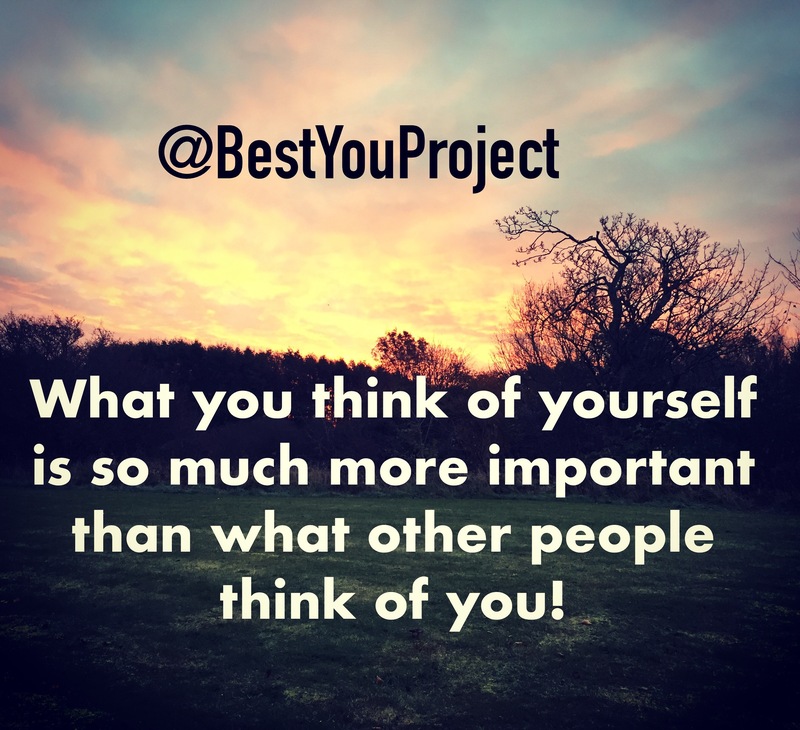 What you think of yourself is so much more important than what other people think of you! Honestly, it affects how you feel about yourself, how you perform in sports or at work, how confident you feel, how you approach challenges, your entire happiness levels and how you view your life. Everything! You can’t leave that sort of control with other people, you have to realise you can determine all of that just by building a better image of yourself. I’ve shared lots of techniques on this, ones that I know work. I should probably do more of them myself but tend to get complacent when I’m feeling good so only turn to them when I need a lift. These tools can build confidence, increase your self-worth, improve your mood, help you value what you already have, develop consistent performance levels and so much more purely by learning to value how you see yourself MORE than how you THINK others see you. If you spend your time looking to others to lift you up, to make you feel worthy or confident … you will spend your whole life chasing validation and find you get it very little. You need to validate yourself, love yourself, appreciate yourself and then you’ll never need to go chasing that validation ever again. You’ll already know all your strengths, all your good qualities and just how truly worthwhile you really are! I see it in all walks of my life – kids looking for proof that they are loved, guys from my football team looking for reassurances on how good they are, people in life silently looking for others to build them up, others needing a reminder on how much they are liked … never really realising the key to ALL of this lies solely inside themselves. If you constantly need everybody to tell you how good a player you are just to keep your confidence up your consistency will be all over the place. You’ll be great one day, terrible the next. You have to use confidence building tools to build an unbelievable self-belief that will in turn keep your performances and confidence at the top level. If you go around looking for others to prove how much they like you, you’ll will end up disappointed way more than you find the proof. People are often oblivious to your need, not because they don’t care but because they simply don’t know it exists. If you think about it, should people constantly have to reassure you that they like you? … or should you make yourself strong enough and happy inside enough to know the ones that do like you and the ones that don’t? I’m all for building others up and when I see the need for it I do my best to give the person the validation they need but what I’m saying is you don’t need to hear it from me. Who am I? I’m not better than you, we’re all equal. All I’m saying is, try it! Use some of tools I’ve shared to build a healthier self-esteem and a better image of yourself … THEN see how different you view situations and others around you. It’s a whole new world! Please, please remember you have the power to build a picture in your mind of yourself at your very, very best. Once you can see yourself at your best you will actually be living out your life as the best version of yourself! Let other people worry about themselves, you focus on loving yourself and building on that! This can be your year.